Shalom and Welcome to Or Hadash! 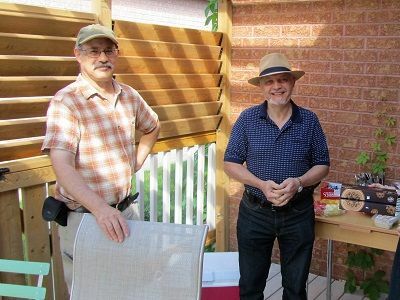 We are a warm, friendly, egalitarian Reform congregation that is dedicated to the Jewish community in Newmarket and the Northern York Region. In our small, family-like atmosphere, everyone is welcome! Both men and women equally participate in our services. We embrace Jewish individuals and families with or without children from any variety of backgrounds and family compositions. Regardless of age, marital status or sexual orientation, at Or Hadash you are welcome! We welcome Jews of any denomination or no denomination. No matter what level of Jewish knowledge or observance, at Or Hadash you are welcome! Intermarried families are warmly received and participate fully in our congregational life. 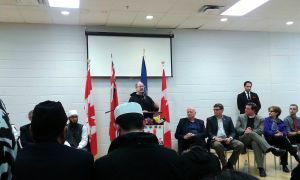 We also welcome in our services and events individuals of other faith communities who have an interest in Judaism. 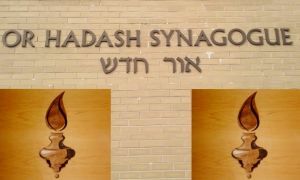 At the core of Or Hadash is a deep commitment to participatory Judaism. We offer a wide range of social, educational and religious programs and activities for anyone who is looking for community, personal spiritual growth, and opportunities for Tikkun Olam. We study together, celebrate together and support each other through both joyful and challenging life cycle events. In our warm environment you will be able to establish a new spiritual home where you can build meaningful friendships and find a place to congregate without any pretentiousness. 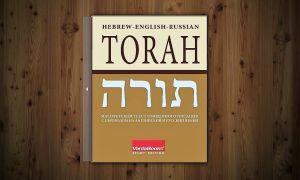 Explore this trilingual Torah in Hebrew, English and Russian! This interactive electronic version contains the Masoretic text of the Leningrad Codex, the Classic Jewish English Translation, and a new Russian translation. It is the result of more than 25 years of work done by some of the greatest Bible scholars from Russia, the USA and Israel. This Synagogue is to support and enrich the Reform Jewish community by cultivating a love and understanding of the Jewish heritage, stimulating fellowship in the Jewish community and strengthening the bonds of loyalty with the Jewish people everywhere. In all endeavors, members shall strive to treat each other with dignity and respect, and to conduct the affairs of the Synagogue in an open and transparent manner. In order to advance the cause for liberal Judaism in Canada and throughout the world, this Congregation shall maintain its affiliation with the Union of Reform Judaism and the World Union for Progressive Judaism.